There's a storm brewing in North Dakota, a crucial red-state for midterms, where Senator Heidi Heitkamp, a classical liberal Democrat, has shocked the right with a no vote on Kavanaugh. Senator Heitkamp was considered a lock-in for the GOP, based on her coming from the Conservative-strong state of North Dakota. The “no” vote will likely create hell for Heitkamp back at home, where she's less than 60 days from a scheduled election that she's threatened by GOP contenders in. Senator Heitkamp said, "the process has been bad, but at the end of the day you have to make a decision and I've made that decision." Heitkamp, who's facing her own sure-defeat now, hopes that this decision will help her receive funding from liberal Hollywood elites in a tight re-election race. The race for her seat comes in a state that Donald Trump won by a large majority back in 2016. 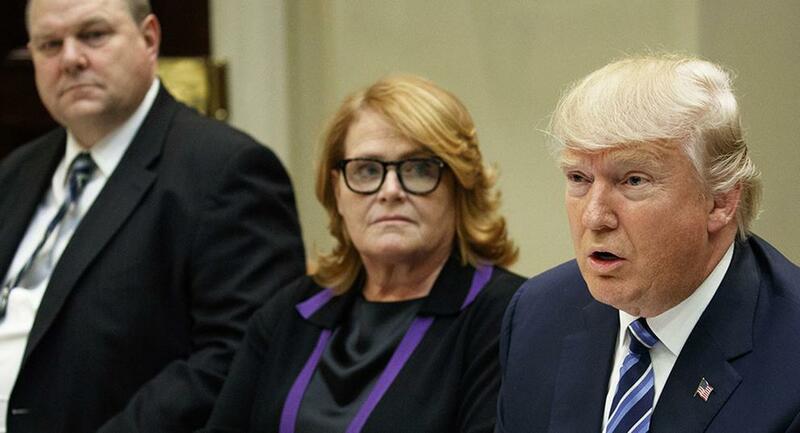 Senator Heitkamp then said: "I will be voting 'no' on Judge Kavanaugh." This last May, a man was sentenced to prison for threats he allegedly made against the Senator, which was used by the Heitkamp campaign to bolster her fundraising. Most believe that without strong celebrity backing soon Heitkamp could lose her upcoming race to Representative Kevin Cramer, the GOP hopeful. A debate that was sponsored by AARP was put off by Heitkamp’s office and would have been aired live by Prairie Public Broadcasting radio and TV. This may come out as a great excuse by Heitkamp’s camp that prevents her from being clobbered in front of North Dakota viewers. As for Judge Kavanaugh, it's a sure-fire sign that the GOP lost a perceived liberal ally in their efforts to confirm SCOTUS pick, Judge Brett Kavanaugh. One thing is for certain, Americans now need North Dakota to vote Heitkamp out of office. "a classical liberal Democrat, will vote No and we are to believe the Right is shocked? Time to empty the Honey wagon…..